Cosmetic Laser Solutions SA is proud to offer a range of skin & peel treatments to complement our aesthetic laser treatments. “Luxury through nature and abide by truth within labelling”. While many seek to live an organic lifestyle and are conscious of the food they eat, it’s important to realize that your skin is also a major pathway for chemicals to enter your body and cause a wide range of skin concerns. Organic Spa uses natural ingredients that haven’t been exposed to synthetic chemicals in their cultivation. All products are free of genetic modification, artificial preservatives, dyes and fragrances, are grown using sustainable farming methods and importantly, are not tested on animals. The Jan Marini Skin Care Management System has been voted “The Best Skin Care System” for five consecutive years in New Beauty Magazine’s Annual Beauty Choice Awards. An Enzyme cleanse followed by an exfoliating Papaya enzyme steam mask to gently slough off dulling surface cells without harming living healthy cells. This prepares your skin and allows for better absorption of the active ingredients used in the procedure to follow. 15 minutes of LED (Light Emitting Diode) therapy with a hydrating serum using Red and Infrared light to stimulate skin cell metabolism, encouraging new collagen to refresh and recharge your skin without irritating even the most sensitive skins. While your skin is awakened and energised and we will apply a collagen enhancing mask for 15 minutes. The CLS Signature Skin Treatment ends with a range of suitable moisturisers and serums to nourish your skin. 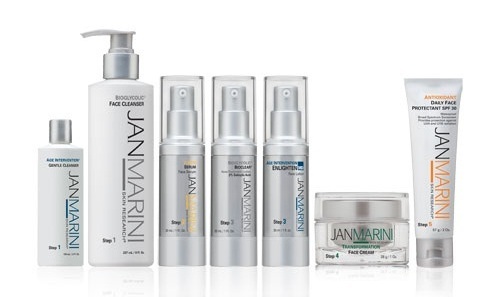 Having the option of two high quality skincare ranges in Organic Spa and Jan Marini allows us to address a wide range of skin concerns, from signs of ageing like wrinkles and sun damage to common skin problems including acne, rosacea and skin discolourations. Organic Spa products are only available from trained skin care professionals at selected clinics and spas. Below is a sample of available treatments, however all our treatments are personalised to your particular needs and skin type. This refreshing treatment starts with an exfoliator containing Glycolic Acid and Bromelain that refines the skin, followed by anti-oxidants that feed the skin to impart instant radiance and hydration that leaves the skin with a polished glow. This treatment creates a perfect smooth canvas for make-up application before that special occasion. This skin treatment is specifically designed to deep cleanse, hydrate and soothe delicate skin. Treatment includes removal of grey facial hair. This detoxification and purifying treatment is designed to calm and rebalance unhealthy skin. Containing Bentonite clay that sloughs away dead skin cells and Kaolin to absorb and draw oil and impurities from the pores with a powerful anti-oxidant that lessens the effects of free radical and environmental damage. This rejuvenating alpha hydroxy acid treatment has 13% active ingredients from fruit and botanicals to smooth and resurface the top skin layers. This formula contains Aloe Vera and Olive Leaf Extracts to cool and calm the skin with less irritation and redness. This treatment smooths and resurfaces whilst improving skin hydration. This treatment is designed to hydrate, strengthen and restore youthful radiance. The active properties of Vitamin C, E and anti-oxidants boost to enhance skin resilience and slow down the ageing process. A scientifically proven method of exfoliating to recharge and refresh your skin without irritating sensitive skin. The resurfacing combination gently sloughs off dulling surface cells without harming living, healthy cells. Most clients see a dramatic improvement in skin texture and clarity, with improved elasticity and skin appearing smoother and more refined. Ideal for ageing and problematic skins that have the occasional breakouts. This treatment contains 39% active ingredients. This treatment starts with lactic & enzyme resurfacing peel to support the skin’s regenerative process followed by an exfoliant to gently polish and stimulate circulation to reveal smoother and brighter skin without irritation. Finished with a clarifying clay mask which helps to detoxify and prevent clogged pores. This treatment includes extractions if necessary. The benefits of combining both Glycolic Acid and Proteolytic Enzyme results in an accelerated resurfacing and exfoliating treatment, providing measurable results for virtually any skin type. This treatment addresses sun damage, fine lines and wrinkles, large pores and coarse texture as well as acne skin. For the optimum result with this resurfacing treatment, it’s recommended that the Jan Marini pre-peel pack is applied for at least 2-3 weeks prior to treatment. Maintaining the level of cellular growth on the skin’s surface directly relates to the freshness and youthfulness of the skin’s appearance. On average we renew our surface skin every four to six weeks. With age and poor health, skin renewal is considerably slower. By mechanically altering the epidermis with peels, cell renewal is regulated. Then, with a healthy, balanced skin surface, it is possible to improve or eliminate many skin conditions and skin imperfections. Apart from sloughing away dull, rough skin to reveal a softer, smoother appearance; scientific studies have also proven that continuous treatments with lactic and glycolic acid plump up overall skin texture and cellular activity, slowing the ageing process and reversing damage caused by the sun. We have a range of peels to suit all skin types that anyone can benefit from. These peels are performed as an in-office procedure by a trained professional. They provide controlled and predictable removal of surface skin cells, stimulating skin renewal to improve the appearance of the skin. There is no significant pain or discomfort or need for anaesthesia. Cosmetic Laser Solutions offers five different peel procedures. This peel stimulates the skin and helps to reduce cell build up at the lower levels of the epidermis. 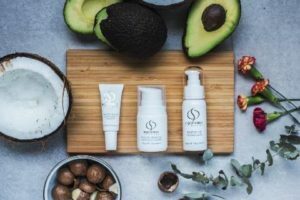 It’s a fast and convenient, superficial peel treatment appealing to patients who want to visibly improve the appearance of their skin with zero-downtime, enabling them to immediately apply makeup and continue with their usual activities. You will notice a difference in your skin texture immediately as glycolic peel treatments resurface and clarify skin texture, rejuvenate the skin, minimise fine lines and wrinkles, fade the appearance of skin discolouration and assist in resolving skin prone to problematic breakouts (acne). The Resurfacing Gel Peel is also an excellent option to maintain results in between more aggressive procedures. This is a distinctive combination of Lactic, Salicylic and citric acids that allow for maximum efficacy without significant downtime. Salicylic acid peels are particularly suitable for clients who have problematic spots, and is excellent in providing skin rejuvenation, reducing fine lines and wrinkles, mild acne and light pigmentation with less peeling and downtime than more aggressive treatments. The peel helps to correct surface discolouration and blemishes, stimulate cell renewal, improve circulation and rebuild natural collagen, improving skin tone and giving a more youthful complexion and is suitable for most skin types. Peel application is followed by a highly concentrated Retinol Activator containing peptides and antioxidants to enhance recuperation and the overall outcome. For optimal results, it’s recommended that resurfacing glycolic products are used two weeks prior to your treatment in order to prepare your skin. This is a progressive combination of Salicylic Acid and Mandelic Acid that is ideal for anyone suffering with active acne or seeking a rejuvenating, resurfacing solution for acne scarring and oily skin. This blend of soluble salicylic acid and mandelic acid helps clear follicles and attack bacteria deep within the pores promoting renewal of the epidermis and outer dermal layers improving skin tone and clarity for best results. A Retinol Activator is also applied to enhance results and jumpstart the healing process by delivering beneficial peptides and antioxidants to the skin. This can be performed as an individual treatment or in series of three peels, three to four weeks apart. For optimal results, it’s recommended that resurfacing treatments are implemented in conjunction with the appropriate preparation treatments two to three weeks in prior to the peel application. This helps prepare the skin for better results as well as minimising redness and recovery period. What skin improvements can you expect from Peels? Decreases the appearance of fine lines and wrinkles. Stimulates collagen and elastin in the skin. Smooths and softens the skin. Produces dramatic changes with virtually no erythema (redness of the skin) and negligible downtime. Accelerates the results that can be achieved with preparatory home care products. Make up can be applied immediately and normal activities can resume with minimal sun exposure after treatment. All body areas appear to respond well to treatment with glycolic acid including fine, normal & greasy or thick skin types; however, the arms, hands, neck and chest all improve at a slower rate than the face. If you have not had a glycolic facial peel before we offer a complimentary 15-minute consultation with our aesthetician to discuss your needs, alleviate your concerns and ensure you receive the correct protocol prior to treatment. For optimal results, we recommend approximately 4-6 treatments at three to four week intervals. This treatment is suitable for most skin types. The content on this website is provided for informational purposes only, and is not intended in any way to substitute professional medical advice during an in office consultation and examination by a physician. Any photos from this web site including text “Copyright: Cosmetic Laser Solutions” may not be copied and reprinted in any way without written permission from Cosmetic Laser Solutions.